Going on vacation is always an escape from the world that awaits us back at home. Whether it is beaches or forests, a new place is bound to bring happy memories for years to come. However, there is something that could get in the way of this fantastic time. It's that little piece of technology that almost everyone owns these days and can usually be found right in front of our faces. As fantastic as phones are, they have a habit of getting in the way during getaways. We are regularly checking our social media, playing games, and scrolling mindlessly on the latest app. With wanting to get that perfect selfie, it is almost a necessity on vacations to carry your smartphone. However, what if you put it away while on your trip? It might seem detrimental, but putting your phone down while on vacation could be the best thing you do for yourself. You can still snap that random picture, but use your phone for emergency calls and weather checks in the morning. Below I have a few reasons you might want to keep your phone away from your hands during your time away from home. I get we all want to have the perfect Instagram photo to share with the world. While you want to show everyone how fantastic your life is, you miss out on the actual moments that pass by. There are so many memories I have on vacation that I cannot physically show. When a perfect sunrise came, or something funny happened, I decided to live in the moment instead of capturing it forever. We don't realize how much we miss out on when we're trying to get the perfect photo. Same goes with our time on social media. A vacation is a time where you get to explore new places while relaxing from the day to day activities. By staying on your phone, you don't give your mental health the time it needs to unwind. You'd be amazed at the world you'll find when you leave your device at the hotel. With the internet providing us with everything we need, the art of spontaneity has died. You don't have to walk around to find a restaurant; you can ask Google what is near you, the rating, and the restaurant's menu. While I do believe in planning excursions (I've talked about some apps here for that), I also enjoy not being predictable all the time. Sometimes it is okay to get a little lost, happen upon a restaurant, or do something that wasn't recommended by the internet. Ask locals what is fun to do and have an adventure. Not knowing your every step could be the recharge you never knew you needed. Your in a new place with people you don't know. Instead of scrolling on your phone while waiting for that coffee at a local shop, why not chat up the barista instead? Meeting new people and learning new cultures is what helps us grow and develop. Even if it is just a conversation with your vacation buddy, you are with them on this trip (not your 500 followers). I always have a rule of keeping my phone in my bag when out to places. Unless it is an emergency, everything can wait. I want to be present at the moment and have a great talk with the person I'm with at that moment. If anything, it gives you the chance to make a new friend. A vacation is for relaxation and recovery. Unless it is a business trip, you have no reason to be on your phone. Since we live and breathe with this technology, it usually holds our entire life. This means you are never genuinely away from home. This factor is a great thing but is something we need a break from occasionally. 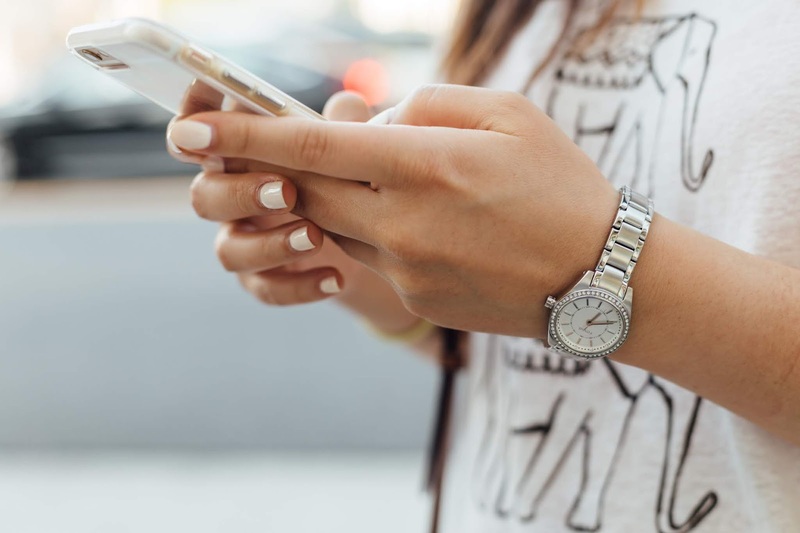 When you are on your device, you are thinking of the bills that need to be paid, the events you need to attend, and a million other chores on the endless list of life. By putting it away, you give yourself a chance to breathe finally. A vacation is a time to recharge your mental health and experience new things. You can't do that when you're thinking of what needs to be done when you get back. The struggles of life will still be there, enjoy the moment of silence for a little while. This isn't an article that tells you that you should not have your phone while on vacation. I still carry it with me (it is a safety measure as well). However, try your best to avoid grabbing it every few minutes. Trust me; you'll love the release you get from not always being connected to the outside world. 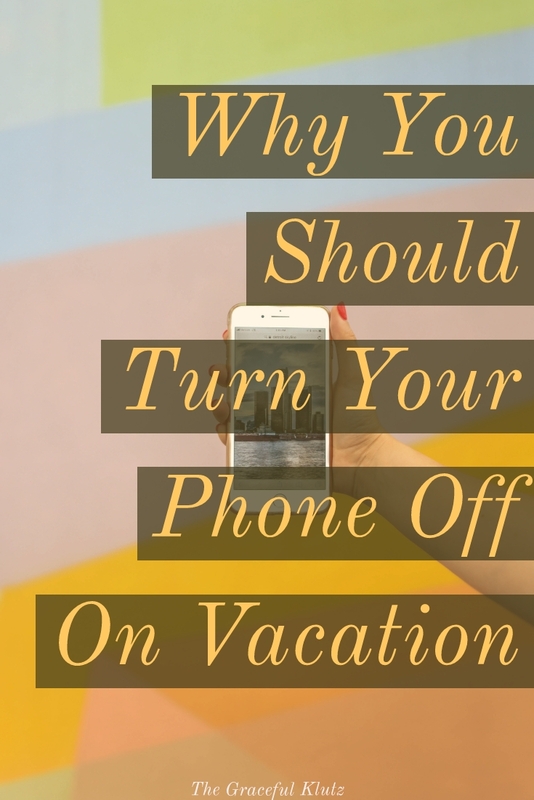 What are some of the reasons you turn your phone off during vacation? Let me know in the comments below!